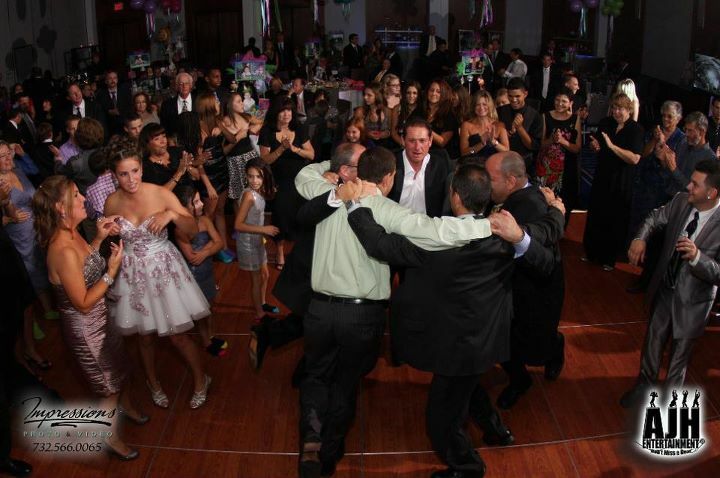 The traditional Hora segment officially gets the main Bar or Bat Mitzvah festivities underway, and leads to full-scale participation of the dance. The Hora is now the unofficial king of Israeli folk dances. The MC invites the guests to get in a circle, holds hands and starts stepping to the right with their left foot, then right foot to match in a “grapevine” motion. In large groups, there are one or more smaller circles inside of the larger circle, which includes the guest of honor, immediate family, and close friends. Many years ago, the Hora was popular mainly in the Kibbutzim and small communities. Later it became a popular dance to do at weddings and other celebrations by Jews in Israel, the United States and Canada. STEP 1: Stand in a circle holding the hands of the people on either side of you. STEP 2: When the music starts, follow the circle as it rotates. STEP 3: Step to the side, passing your left foot behind your right. STEP 4: Move the right foot beside the left foot. STEP 5: Step to the side again, passing your left foot in front of your right this time. STEP 6: Continue as the circle keeps spinning, adding a little hop to your steps as you go faster. STEP 7: Move toward the center of the circle and throw your hands, still holding those of the people beside you, in the air. STEP 8: Lower your hands and move backward. STEP 9: Repeat several times. STEP 10: Resume spinning around the circle. The traditional Hora can be repetitive so I find it fun to break it up by doing some activities involving the guests so it is more of an interactive experience. 1. Do-si-dos: a square-dance figure in which dancers interlock arms with each other circle around by switching arms. 3. Everyone repeating what the MC says. 4. Grabbing Hands and all the guests running to the middle and yell Mazel Tov. 5. Everyone holding hands and circle and hands go up and down. What kind of interactive movements or things can you make up during the Hora? Adam J. Hirschhorn (A.K.A. Adam J.) is an MC, DJ, business owner and entertainment innovator. 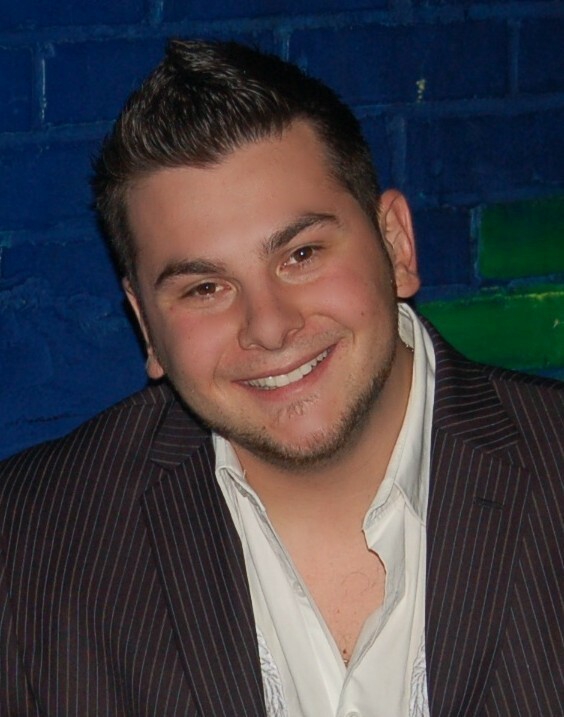 He started AJH Entertainment at the young age of thirteen and over a decade later, Adam has grown it into a thriving operation with two locations; one in NJ and the other in PA as Flare Event Group (a preferred vendor in the legendary Bobby Morganstein’s “Beat Street” party facilities). Both of Adam’s companies provide general DJ services but specialize in Bar/Bat Mitzvahs. A graduate of Rowan University with a degree in education, Adam uses his knowledge for the benefit of his DJs and MCs during their monthly training sessions. In addition to his event work, Adam DJ’s at nightclubs during the week, and holds residencies at Trump Plaza Beach Bar in Atlantic City and Bar Anticipation during the summer months. To contact him email adam@ajhentertainment.com or visit his websites ajhent.com and flareeventgroup.com. Adam J. Hirschhorn (A.K.A. Adam J.) 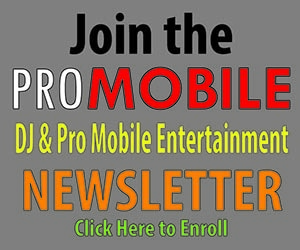 is an MC, DJ, business owner and entertainment innovator. 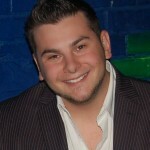 He started AJH Entertainment at the young age of thirteen and over a decade later, Adam has grown it into a thriving operation with two locations; one in NJ and the other in PA as Flare Event Group (a preferred vendor in the legendary Bobby Morganstein’s “Beat Street” party facilities). Both of Adam’s companies provide general DJ services but specialize in Bar/Bat Mitzvahs. A graduate of Rowan University with a degree in education, Adam uses his knowledge for the benefit of his DJs and MCs during their monthly training sessions. In addition to his event work, Adam DJ’s at nightclubs during the week, and holds residencies at Trump Plaza Beach Bar in Atlantic City and Bar Anticipation during the summer months. To contact him email adam@ajhentertainment.com or visit his websites ajhent.com and flareeventgroup.com.